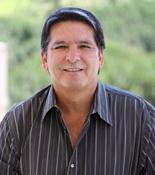 Professor Chavez received his Ph.D. from Stanford University. Although he began his academic career as a Latin Americanist, conducting research in Ecuador, he has been working on transnational migration since the year 1980s. He is the author of Shadowed Lives: Undocumented Immigrants in American Society (1stedition 1992; 3rdEdition, Wadsworth/Cengage Learning 2013), which examine life among undocumented immigrants in San Diego, California. His research then moved into medical care issues such access to medical care, cultural beliefs and use of medical services, and cancer-related issues among Mexican and Salvadoran immigrant women, U.S.-born Mexican American women, and Anglo women in Orange County, California. Chavez’s research moved into an analysis of media representations, focusing on immigration. His book, Covering Immigration: Popular Images and the Politics of the Nation(University of California Press 2001), examined magazine covers and their related articles from 1965 to the end of 1999. Although that research was located in national media, it did include a survey of students at UCI and their reactions to the media images covered in the book (Chapter 9). Out of that work on media came The Latino Threat: Constructing Immigrants, Citizens, and the Nation(Stanford University Press, 1stedition 2008; 2ndedition 2013). This book focused on media representations of Mexicans, Mexican-origin people in the United States, and Latinos in general. Included in the book was an analysis of data collected in a random sample of Latinos and Anglos in Orange County, California, which was used to refute many of the claims in the Latino threat narrative so prevalent in political rhetoric found in the media. Chavez received the Margaret Mead Award in 1993, the Association of Latina and Latino Anthropologists’ Book Award for The Latino Threatin 2009, and the Society for the Anthropology of North America’s award for Distinguished Achievement in the Critical Study of North America in 2009. The Latino Threatwas also recently published in Spanish by El Colegio de la Frontera Norte, in Mexico. The theme of the children of immigrants was the subject of Chavez’s most recent book Anchor Babies and the Challenge of Birthright Citizenship(Stanford University Press, 2017). Chavez’ most recent research project was developed in conjunction psychologist Belinda Campos extended his interest in the effect of political rhetoric, such as that so prevalent during the presidential campaign of 2016, on the psychological health of people it targets. This study examined the responses of 280 UCI students to positive, negative, and neutral rhetoric, with attention to stress, emotions, perceived health, and perceived well-being. Leo Chavez was elected a Fellow of the American Association for the Advancement of Science in 2017. Information concerning Prof. Chávez’s relation to Chicano/Latino Studies. Link to Interview with Leo Chavez on his research on immigration.